I enjoy a good beer or two on most occasions and I also like buying local as much as I can. This week I am on the hunt for Canberra’s best local craft beer. What classifies a beer as ‘craft’ is somewhat contentious, some say it’s about using traditional methods while others use the word to describe beer only from small boutique breweries. Everyone, however, seems to agree that it’s about the love and care that goes into the beer – all I know is that I like the end product. In Canberra, no matter which way you look at it, all our locally brewed beers would be considered craft. There are a few places that have been brewing for quite a while, but there are also some newcomers to the local industry. 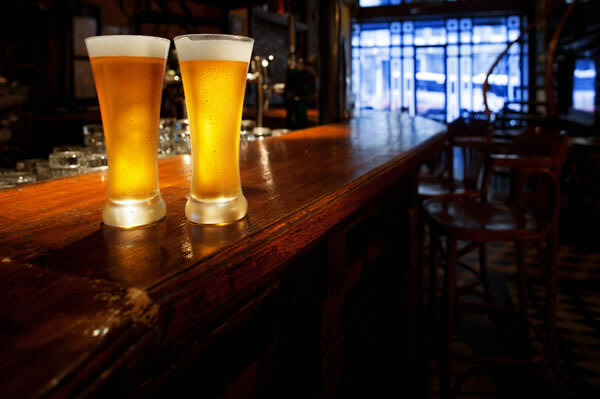 Whether you’re into hoppy ales or lighter lagers, there is a local beer to keep you happy. So tell me Canberra, who brews the best local craft beer? To vote, let me know your favourite in the comments below. I’ll try the two most popular places and let you know my verdict in next Monday’s Taste Off article. Just visited one of their wine tasting event and was quite impressed. wig and pen all the way!! the vibe and look is a bit off the mark, but the beers are on point! Tap 42 in Fort Lauderdale FLA is a fairly typical US Craft Beer bar. 6oz pour (177ml slightly bigger than a Pony which is 140ml) = US$5 to US$10. A$7.90 to A$15.80 inc tip. 10oz pour (295ml a Middy) = US$8 to US$10. A$12.65 to A$15.80 inc tip. WAY more than we pay. Mate, I just looked up their website – their normal craft beer in U.S. Pints are between $5-$7, the 10oz are $7-$10 for some truly exceptional beers of around 10% alcohol and the only 6oz pours are for their tasting paddles. I would also argue that these aren’t the most typical prices State side, but they are still cheaper than here. Not any more they aren’t. They put the prices of those “craft” beers up to $6 last Monday. The regular lunch time crowd have bitched to management, so will be interesting to see how the sales of those “craft” beers go now that they have increased the price by 50%. Oh well, I didn’t go there much anyways; The food is boring (and unhealthy) pub bistro. I love craft beer.. like a lot, Bentspoke’s beers are delicious but prices are just ridiculous. I’d need to have 3 jobs to afford regularly drinking there. If a bar charges more for a beer than what they do at a music festival something is wrong. In terms of bars that have a good selection of craft beers, George harcourt regularly changes their tap beers most of which are craft. Hopscotch, Transit bar and honkeytonks all have a good selection as all 3 have my ultimate favourite on tap.- Stone & Wood pacific ale. The real secret of beer is that it is so cheap to make, as anyone who has brewed their own can attest. The tax on the alcohol content is not huge because most beers are only around 4% alcohol. The rest is all marketing and sponsorships, which of course the micro-breweries don’t do. Ah, if only it was so simple. As a sometime maker of another boutique product, I can tell you that the unit costs of producing small lines of anything are off the scale compared that of the big players – the actual ingredient costs are a very small part of the equation. The labor, equipment, transport, marketing, maintenance and a whole host of other costs must be divided by a much much smaller volume of sales. I reckon the boutique brewers are in it for the love of the craft rather than the expectation of making a motza. I appreciate what you say, but beer is basically barley, water and hops and really is cheap. In France where there is no tax on alcohol, beer is cheaper than Coke. Would that be Paddy’s Brewery? Spoke is cheaper? Zierholz is the only (semi) reasonable priced brewer. I can get a pint of their lite beer at UC for $5. The other two (spoke and wig) treat beer like it’s some kind of mystical liquid gold that only they can perfect. I stopped going to Wig when they had a very large price increase through the clever trick of moving from schooners to pints. The upsize trick perfected by McDonald’s! Of course, you could get a 1/2 pint and pay 20% more. (And, I’m not joking, the “small” at Spoke is LESS than 1/2 pint. Hey, they have to pay for the swanky industrial-look reno job somehow!) These brewers do realise that Canberra is a town where most of us need to drive right? I was referring to Bentspoke ($11 for basic pint, $10 if you are a member) being cheaper than the Wig ($12 for a basic pint). Zierholz is indeed cheaper, but I’m just not as much of a fan of their beers. You also won’t find a schooner size in the US, and will find that 99 percent of pubs selling craft beer will sell U.S. pints (473mls), which aren’t that much smaller than an imperial pint (568mls). Having said that, I couldn’t agree more about wishing for US prices and range of craft beer, but unfortunately our horrendously high taxes on beer make that a pipe dream. Is that Pints or “Real Pints” something I discovered in Adelaide. When I was ordering, I asked what sizes they had and how much. When they said $8 for a pint I thought that was reasonable till I got it and no way was it a pint, it was about the size of a schooner. The barman said you have to order a “Real Pint” to get a pint. What kind of weirdness is that? I asked if it was possible to get a “Real Litre”. Apparently they don’t have those, metrics not being some medieval con-job and actually regulated. Interesting that you love the Wig, but not Bentspoke #astrojax seeing as Bentspoke is run by the ex head brewer from when the Wig. Out of the Breweries, Bentpoke definitely gets my vote as it’s cheaper, provides takeaway growlers, is in a better location and has a larger range than the Wig. Zierholz focuses too much on lighter central European styles at the expense of New World hop driven beers for my taste. As far as craft brew pubs, it’s a tie between Transit bar and the Durham, which both regularly rotate interesting craft beers. finally got to the newly located wig and pen; i’ve missed them so… very not disappointed, even had a chilli chocolate stout – awesome! and the english pale was wonderful. have not been won over by the spoke or zierholz i’m afraid… the wig is the real deal, and happy to be a tester! Bentspoke, Wig & Pen, Zierholz – all good.